Many years ago, I lived in a town with a Levenger store, and I loved to go there often to browse their “tools for serious readers,” as their tagline says. All of their products are of high quality and classy, from beautiful pens to elegant office lighting. I could stay in that store for hours! Fortunately, they’re now online, so even though I presently live in another town, I can still check out their wonderful offerings. They’ve added a lot of new things since I frequented their store, especially to meet the needs of tech-loving customers. One product that really caught my eye on their site recently was this beautiful Carezza Two-Strap Smart Phone Case with Walletini Pen. I love the gorgeous Eggplant color. And it includes one short strap for looping over a tote or purse handle, and one adjustable strap for wearing it across your body. It even includes a Walletini ballpoint pen! No more digging around at the bottom of your purse for something to write with. 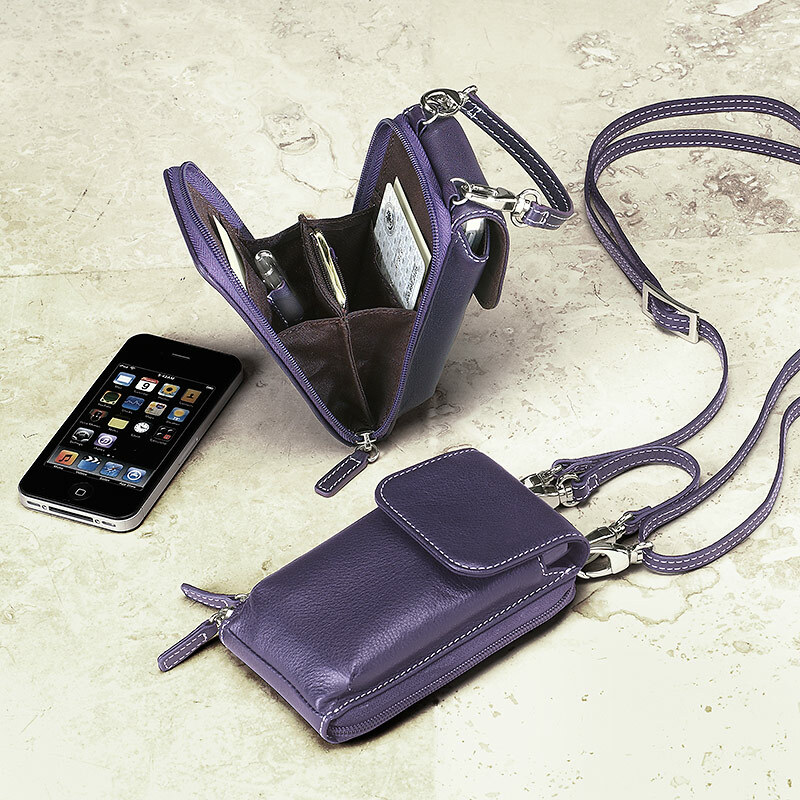 If you’re not into purple, they also carry this phone case in a classic Black. I’m definitely thinking about getting rid of my silly plastic phone case with cartoon cats on it and replacing it with this stunning fashion piece instead! The holidays are coming up, and the products at Levenger make very impressive gifts! I hope you’ll visit www.Levenger.com today to check out their pens, journals, wallets, furnishings, phone cases, desk accessories, lighting, and much more! And treat yourself to something beautiful while you’re there. Be sure to visit Levenger on Facebook and Twitter, too.